Going green at home doesn’t have to be hard! These seven simple ways to reduce waste at home make eco-friendly living easy and inexpensive. We all know we should recycle. The “reduce, reuse, recycle” mantra has been around for long enough for us to know recycling is good. But why does it actually matter? The simple answer is that recycling can help prevent us from depleting the environment’s resources. How? By becoming new products. Think napkins, tissue paper, bags, building materials and so much more. Less water is used, less trees are destroyed, less electricity is used and less pollutants are added to our air. So why aren’t we recycling more? Why aren’t we reducing our waste on a larger scale? I think a big part of it is knowledge. We don’t know understand how critical reducing our waste is, we don’t know exactly what can be recycled, and we don’t know exactly how to recycle those things if we do know. I think change starts at home and have collected some super easy ways to reduce waste at home. Cutting down on household waste will reduce your environmental impact and you’ll have the opportunity to influence the people around you in a positive way. 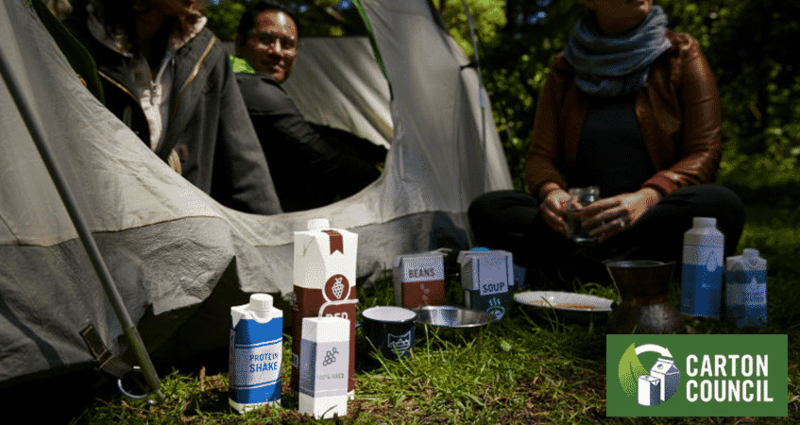 Did you know that most food and beverage cartons can (and should!) be recycled? These cartons include soups, broths, milk, juice, water, wine, tomatoes, creamer, beans and more. For the longest time, I only recycled the plastic containers. Thanks to the help of the Carton Council, I learned that there are so many more recyclable containers. And it’s an important lesson to learn because of what happens when you do recycle them. When you recycle these food and beverage cartons, they are do something much better than fill up a landfill. They’re actually used to create other paper products of even environmentally friendly building materials. How cool is that? If you’re like us and don’t have city garbage pickup, you can quickly set up your own recycling bin with a bin or garbage can then drop them off at the dump. But if you do have a city collection options, follow their instructions on how to recycle. You can also check out the Carton Council to find out if your community recycles cartons. Compostable foods account for a huge amount of our solid waste. If a food is compostable, it’s so much better to compost is versus tossing it in the trash. Luckily, composting isn’t hard either. Here are five reasons to compost and here’s a list of things you can compost easily. Going shopping? Bring your own bags. Both produce bags and shopping bags can make a huge difference. Going out for coffee? Bring your own cup. Some coffee shops will offer a discount or larger portion if you bring your own cup. Going out for a hike? Bring your own reusable water bottle. Plastic bottles may be recyclable, but energy and resources still go into making all of those plastic bottles. It’s much better to have a reusable water bottle or even reuse the water cartons before you recycle them! Declutering your home? Donate or sell your unused items. One man’s trash truly can be another man’s treasure. Consider selling items on eBay, at consignment shops, or at rummage sales if it’s still in okay condition. Not suitable for sale? Consider donating them to a local thrift shop, charity or churches/organizations that have rummage sales. Food waste can be avoidable with proper planning. Meal plans ensure that you have a plan to use your ingredients before they go to waste and a plan to use up the leftovers before they go bad. Consider meal planning with a bullet journal to make life easier and stay organized. More often than not, a repair is much more inexpensive than a replacement. Sometimes that’s not the case, but when it is – opt to repair it before you replace it. If you absolutely need to replace the item, consider buying secondhand. Buying secondhand is also great for items in your life that will regularly need replacement like baby clothes. 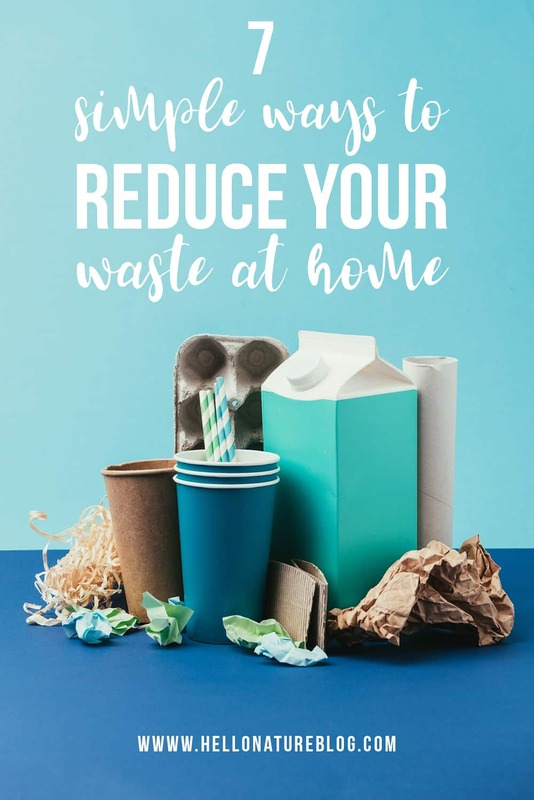 I hope that these ways to reduce waste at home have given you the knowledge to make greener choices at home with just a few easy swaps. I’d love to hear any other ways you reduce waste at home, too! And if you’re looking to save money and be an environmentally friendly shopper while purchasing produce, you won’t want to miss these tips for healthy eating on a budget. If you found this helpful, I would greatly appreciate you sharing this on Pinterest!